Quality checked for runout tolerances, Comp Cams Hi-Tech Roller Race Timing Sets are designed for extreme racing applications. 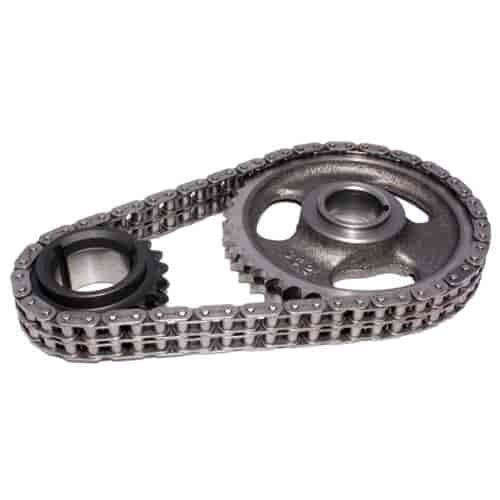 They feature double-row chains with oversized rollers for extra strength and reliability, plus crank sprockets with three keyways to set cam timing at normal, 4° advanced, or 4° retarded. Does COMP Cams 3128 fit your vehicle?